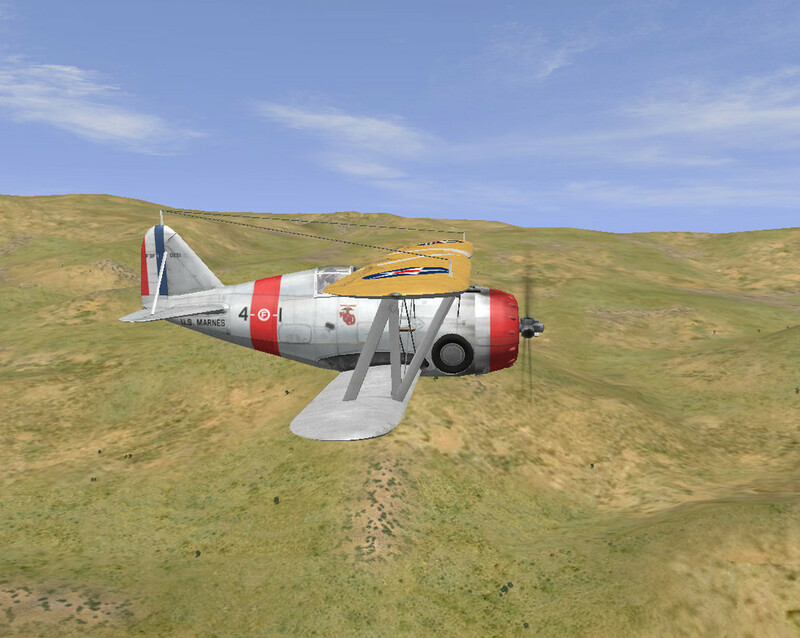 Thanks to all involved for bringing the F3Fs to the game and a very special thanks to Vampire for the excellent skins and templates. Here's a small collection of F3F-1s focusing on US Marine Corp aircraft and 1939 US Navy Neutrality Patrol birds. 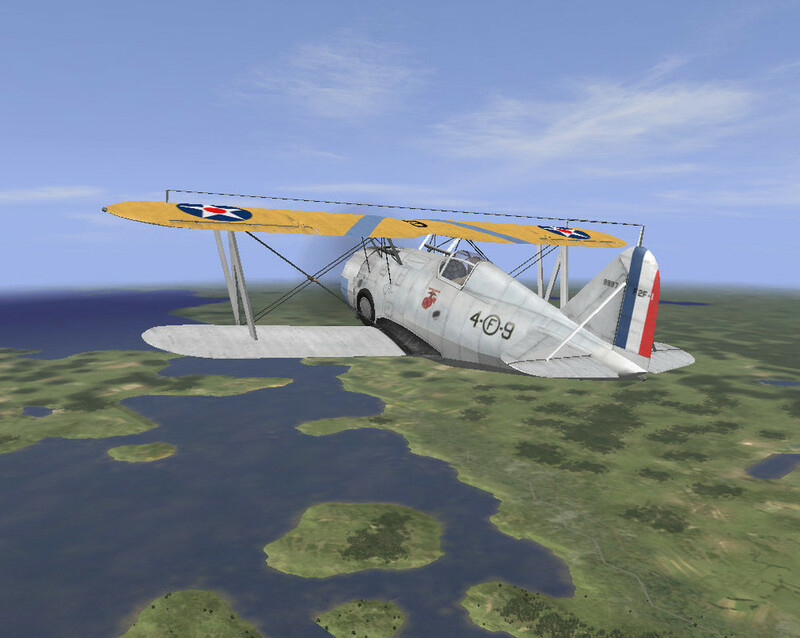 The USMC aircraft were delivered in small numbers as interim equipment pending delivery of F3F-2s. Represented are aircraft from VF-4M and later VMF-2. 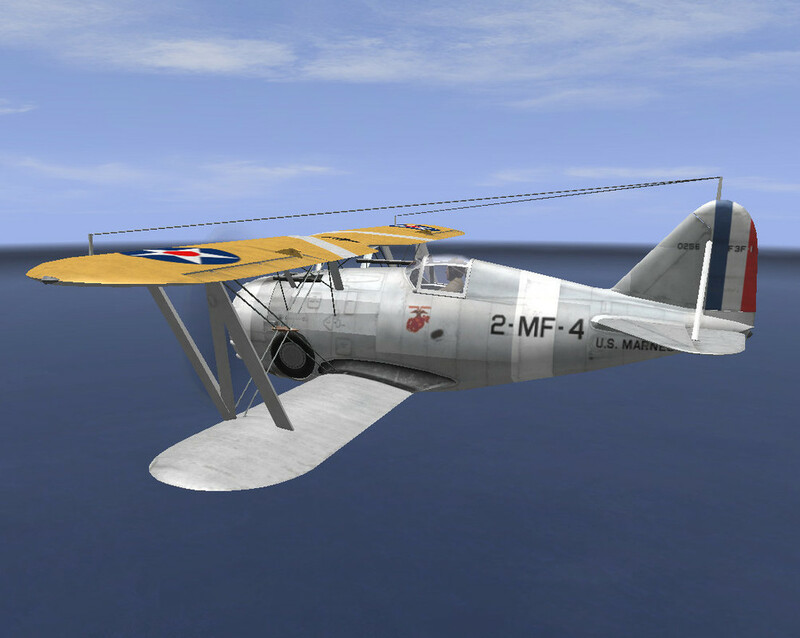 Also an F2F-1 is depicted. 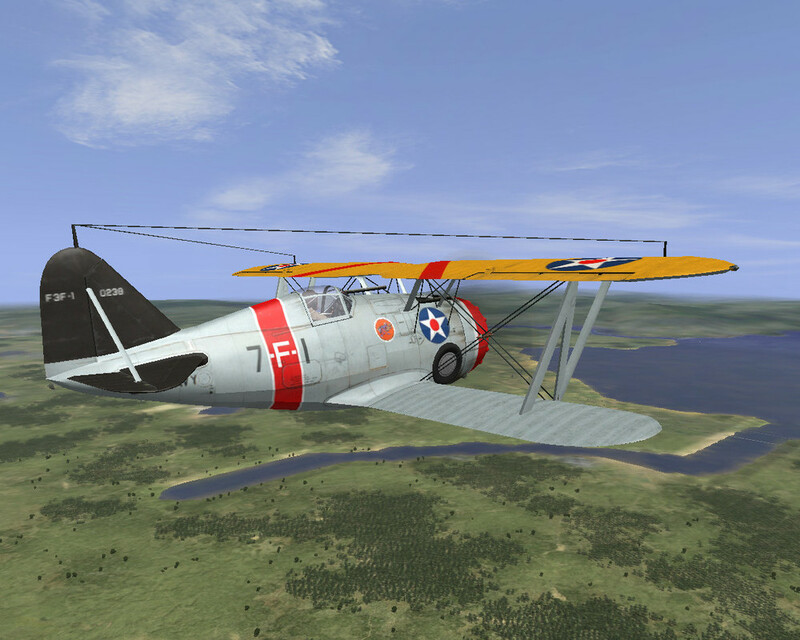 The Neutrality Patrol aircraft are all from VF-7 aboard the USS Wasp in 1939. Both HD and 1024 are included. Hope you enjoy them. UPDATED: Changed color of chevron on USMC 4F1 and two blisters on 7F7 cowling that I some how managed to miss first time around. Nice skins ! Bravo & thanks for sharing ! 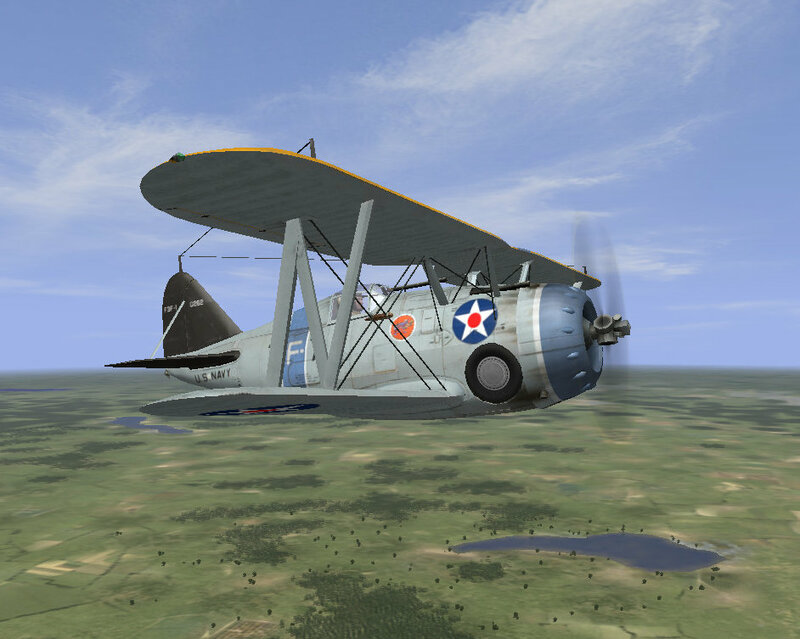 I have wanted an F3F and/or F2F for the game for a long time. Since skins have been made the plane should be available somewhere but when I put F3F into the search box I get a message saying no results found. Where can I find the aircraft? Thanks. Thanks again, dona. As always, very clean, neat work. The F3F-1 and F3F-2 are included in the BAT V3.5 Musketeer TGA module. 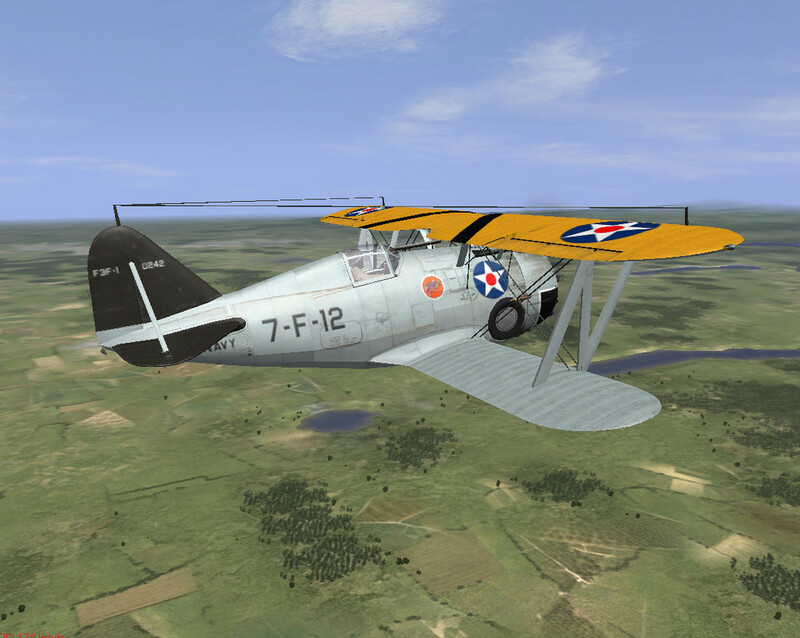 The F3F-2 is included in the BAT V3.5 Musketeer WAW module. Thank you Dona for sharing with the rest of us, it is very much appreciated.